Many parents are looking for places either for an immediate start or as soon as possible thereafter. Registrations are being made by parents of children due to join in 2019 and 2020, and early registration is highly advised. To register, download the Registration Form below and send it to the School Office with your registration fee of £40. Please do contact Miss Grace Plampton, our Admissions Registrar, on 01992 577133 or by email to admissions@coopersalehallschool.co.uk to discuss the procedures for joining our school. 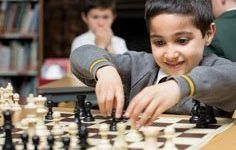 Taster sessions will take place in January 2019 for prospective children whose families have registered them with us. Taster sessions will last for between 40 and 60 minutes and will mainly consist of informal play-based activities observed by members of the Early Years team. Offers will be sent to families in February 2019. Acceptances should be returned as soon as possible, after which point offers will be sent to the next children on our list. Taster sessions will take place in November 2018 for prospective children whose families have registered them with us. Taster sessions will last for around 60 minutes and will mainly consist of informal play-based activities, with some more focused tasks observed by members of the Early Years team. Offers will be sent to families a few weeks after the taster sessions. Acceptances should be returned as soon as possible, after which point offers will be sent to the next children on the list. Taster sessions will last for between 60 and 70 minutes and will mainly consist of informal activities, with some more focused tasks observed by members of the Early Years team. Offers will be sent to families by Friday 7 December. Acceptances should be returned by Friday 11 January, after which point offers will be sent to the next children on the waiting list. Children will be invited to spend a long morning in school at a mutually convenient time. The morning will include formal academic assessments in English, Maths and Non-Verbal Reasoning, with additional informal classroom observations. Offers will be sent if children successfully pass our entrance criteria. Acceptances should be returned within 2 weeks of receipt of the offer. Places occasionally become available during the academic year if families relocate. Please do contact us to register your interest either for the start of an academic year or if you would like to join us part-way through. For details on how to join please see the Admissions Procedures page.